Stretton agri-machinery operates as one of the enterprises at Dove Farm. As its name suggests, the farm looks out onto the river Dove, which marks the border between Staffordshire and Derbyshire. The Stretton family has farmed here since 1962. Our farm has become very much a mixed farm. The home farm is mainly permanent pasture, supporting a small herd of suckler cows, and a flock of pedigree Ryeland sheep. 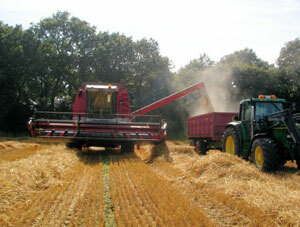 Other farming activity takes place further away – with approximately 270 acres of arable ground, down to cereals. Additional livestock includes alpacas, donkeys, poultry and a couple of pigs. We run three holiday cottages and a business room. We specialise in short breaks for family groups and friends. 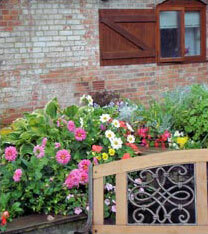 Special occasion breaks are very popular at Dove farm, as well as special interest breaks and day workshops. Alton Towers is only 4 miles away, and our guests enjoy being able to combine all the fun of the theme park, with a stay on a real farm. We have always placed a high priority on environmental factors in our farming methods. We have just entered into a HLS agreement for Dove Farm, to include conservation of wetland meadows, creation of wildflower meadows, pond restoration and educational access.